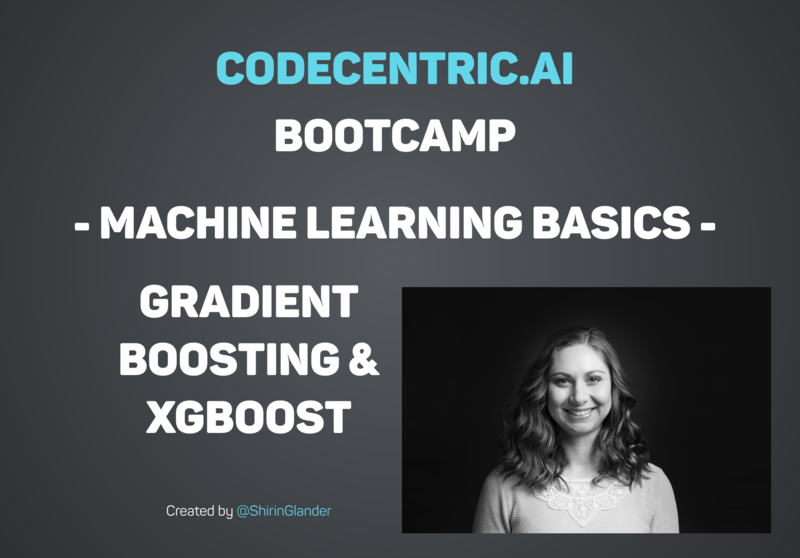 Similar to Random Forests, Gradient Boosting is an ensemble learner. This means it will create a final model based on a collection of individual models. The predictive power of these individual models is weak and prone to overfitting but combining many such weak models in an ensemble will lead to an overall much improved result. In Gradient Boosting machines, the most common type of weak model used is decision trees - another parallel to Random Forests. The gradient is used to minimize a loss function, similar to how Neural Nets utilize gradient descent to optimize (“learn”) weights. In each round of training, the weak learner is built and its predictions are compared to the correct outcome that we expect. The distance between prediction and truth represents the error rate of our model. These errors can now be used to calculate the gradient. The gradient is nothing fancy, it is basically the partial derivative of our loss function - so it describes the steepness of our error function. The gradient can be used to find the direction in which to change the model parameters in order to (maximally) reduce the error in the next round of training by “descending the gradient”. ## Starting H2O JVM and connecting: ... Connection successful!